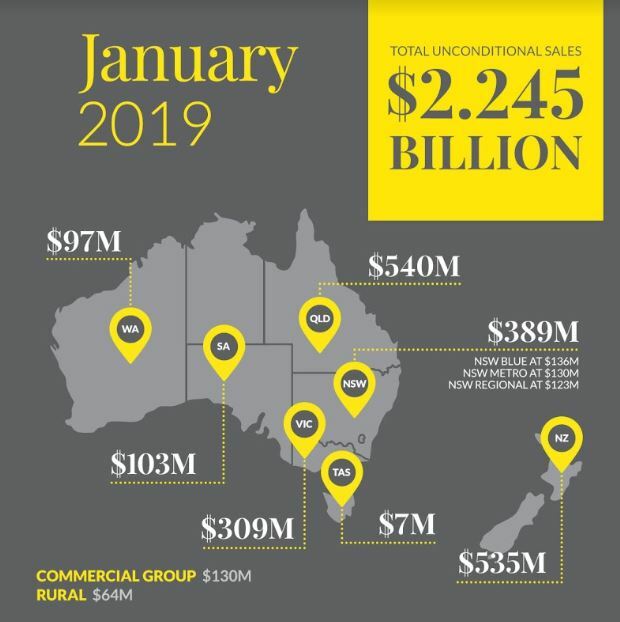 THIS year we have kicked off 2019 with $2.245B in unconditional sales in January, which was about 8% less that we achieved in the prior year. It’s dangerous to read too much into January figures, though it was pleasing to see some solid activity in Queensland and New Zealand. We believe this year holds so much promise and we are looking forward to a strong year. Here I am in Auckland with Ray White New Zealand chief executive Carey Smith. The results for Ray White New Zealand were slightly down for January 2019 by one percent in comparison to 12 months ago, following a record number of transactions in 2018. There was still some standout personal best results from the network offices and these included Ray White Manukau in South Auckland, Ray White Auckland Commercial and Ray White Metro Halswell in Christchurch. The early flow of our auction data for 2019 is showing a subtle bounce back in the clearance rate relative to the lows recorded through December last year. In January, we undertook 329 auctions with a clearance rate of 38 per cent across Australasia. 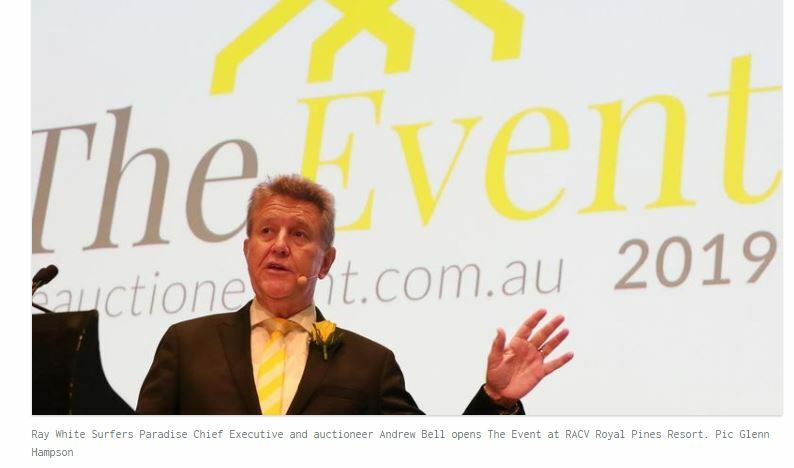 There’s been more than 350,000 people attend our auctions across Australasia since last July. Our latest data shows our vendors are twice as likely to achieve a sale under the hammer than via private treaty after 30 days on the market. This is data that will be soon available to you for use in your listing presentations and thank you to all of you for responding to the Ray White Auction text messages which allows this to be possible. In January we also introduced Auction Social Tiles which has allowed our group to quickly share and celebrate on Social Media auctions sold under the hammer. One of the highlights of January is always The Event – a huge auction day undertaken by the Ray White Surfers Paradise Group. This year the team took more than 100 properties to auction and achieved stronger than expected bidding with a final clearance rate of more than 60 per cent. This prompted the first positive news story about the real estate market we have seen for a long time – though it took no time for journalists to fall back into the habit of quoting another analyst and their crystal ball predictions. We closely read the report from the Royal Commission into banking in Australia, and we strongly disagree with many of the comments made by Commission Hayne in regards mortgage brokers. While some of his reforms are sensible and will improve the industry, the reform about the structure of broker commission payments seem be based upon a complete misunderstanding of both the role of the broker and the huge beneficial impact they have for our clients. We are so proud of what the Loan Market business provides our common customers. We are concerned that a hit to the broking industry in Australia could leave our home buyers with fewer options, we’ll go back to the dark old days where you have to go cap in hand to a Big Four bank. We will be fighting hard against the recommendations and look forward to the support from all of our members as we get underway. Here is a link to a podcast from Sam White, Chairman of the Loan Market Group which explains things in more detail. This month we welcomed a record number of incredibly successful new business owners and high performing agents. It’s always humbling when such high calibre agents elect to join our family. 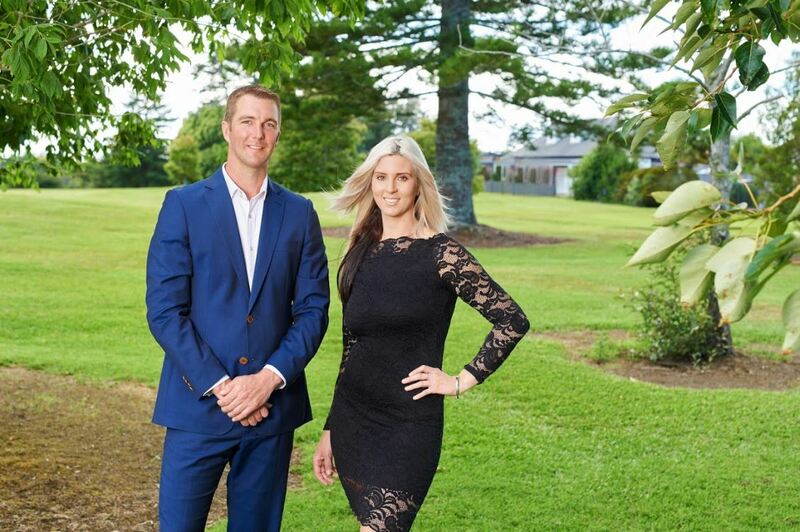 High-performing and well known real estate duo Melvin Plaisier and his partner Alyshia Marshall have just opened their own Ray White office in the Auckland suburb of Swanson. Real estate in the local area runs deep in the Plasier family, with Melvin’s mother Anja being recognised as one of the area’s top agents for over 20 years. “We made the move to Ray White because of how deeply the company values aligned with our personal values,” Ms Marshall said. 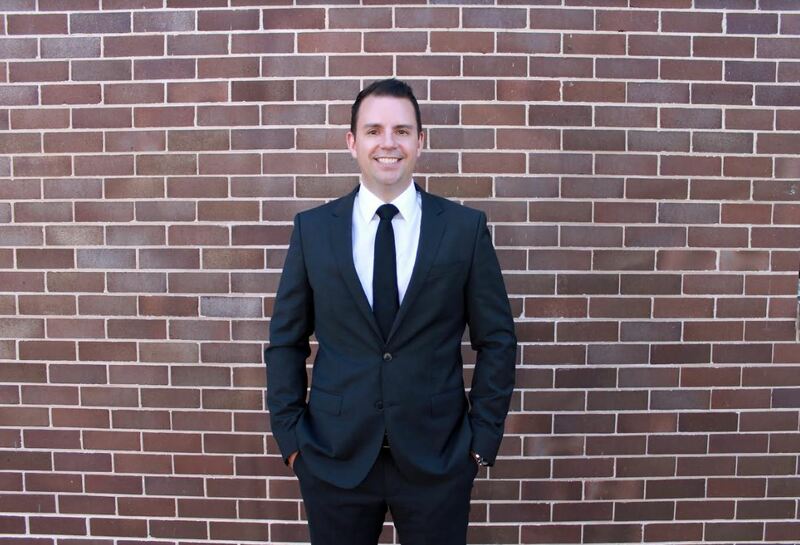 We also welcome d Matthew Carvalho who has just joined Erskineville | Surry Hills & Alexandria as an associate director with big plans for the future. Mr Carvalho is known for his calm, friendly and patient style while guiding his vendors through the sales process to achieve the best result. The elite sales operator – who has more than 14 years experience – has an ambition of expanding their existing business to Glebe with the full support of his new Ray White family. one of Queensland’s most respected and much-loved real estate agents Judi O’Dea has moved her business to Ray White Paddington. With more than 15 years experience, Ms O’Dea was one of only a handful of agents to have been named on Queensland’s coveted A List for five years in a row. Ms O’Dea, a former fashion industry icon with a strong retail background, has become a prestige property specialist in the affluent western suburbs of Brisbane with a keen eye for style. Pictured here with her associate Michael Kleimeyer, and her daughter Harriet Went. 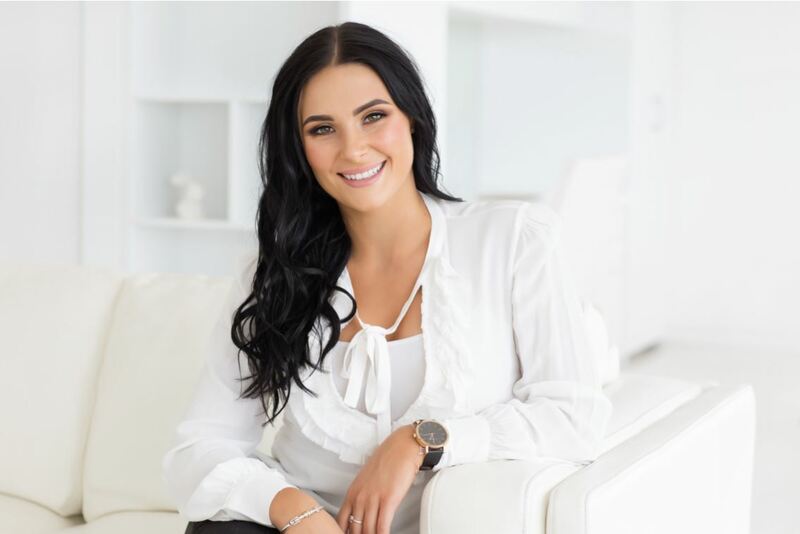 And in South Australia, high-performing young gun real estate agent Tahlia Gabrielli just opened her own Ray White office in the picturesque Limestone coast region of Mount Gambier. Ms Gabrielli, who was an Elite agent at the nearby Ray White Keatley office, has decided to take the leap into business ownership. “We always loved being part of such a strong brand, so when the opportunity of a new franchise arose, we jumped at it,” said Ms Gabrielli of her sales partner Sarah Barney who has joined her in the new business.